In small bowl, combine all ingredients; mix well. Cover; refrigerate 1 to 2 hours to blend flavors. Stir dip before serving. Serve with assorted cut-up fresh vegetables. Store in refrigerator. Serve this creamy dip in a hollowed-out green, yellow or red bell pepper. Cut the top off of the pepper, remove seeds and rinse. Friends and family will love the colorful serving bowl. 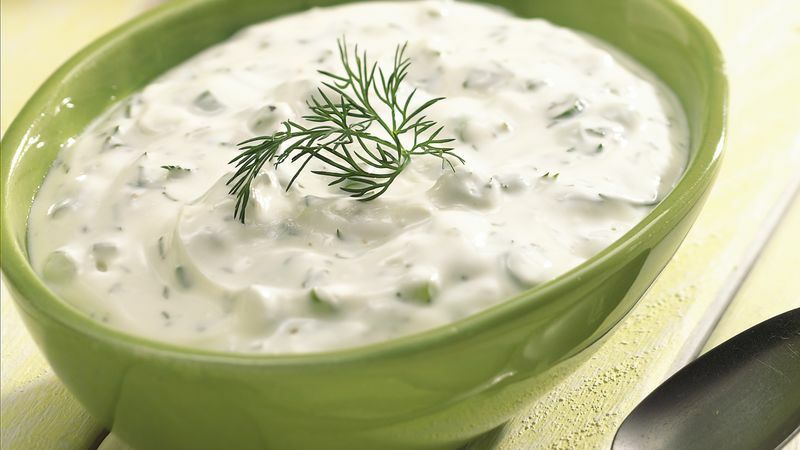 Serving this yummy dip alongside cut-up fresh vegetables might entice little ones to eat their veggies.